As a real estate professional, you already know the importance of what might be called the revenue trifecta: repeat customers, referrals, and new business leads. The good news is that your clients are standing ready to help you succeed: the majority of home buyers and sellers already report a high degree of satisfaction with their agents. According to the National Association of Realtors’ most recent Profile of Home Buyers and Sellers, 73% of buyers and 84% of sellers report that they would definitely use their agent again. The not so good news is that just 12% of buyers and 25% of sellers ended up engaging that same agent. That’s a huge gap, and while some of the difference in numbers can be explained by commonly occurring events like agent turnover and long distance moves, it appears that more often than not the reason people use a different agent is because their previous agent simply didn’t keep in touch. Out of sight, out of mind seems to be the rule here. You may be well aware that client follow-up needs to be a major part of your real estate marketing program, but, like most busy professionals, you worry about where and how to find the time and resources to make it happen. 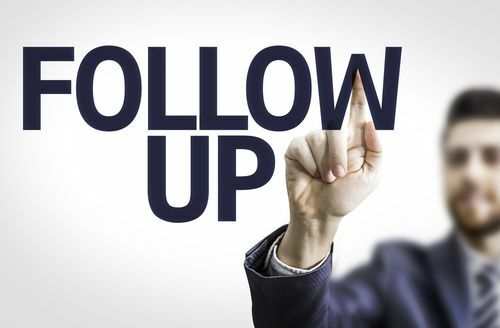 A dynamic real estate client follow up system can be just the tool you need to create an effective marketing campaign that sets you apart from your competition. The advanced automated and custom solutions that Continuity Programs, Inc. offers include direct mail and email campaigns, lead generation, client retention systems, and customer satisfaction surveys. We help you locate your target customers, market to them, and facilitate customer retention through the fulfillment of customer loyalty and relationship building marketing campaigns. Customers are your most important asset. Helping you strengthen and maintain existing customer relationships, while building customer loyalty that results in referrals and new business leads, is what we’re all about. Contact us today to learn more about how we can help you generate leads and sell more to your customers with our automated real estate client follow up system.